Why should we assign a static IP address? 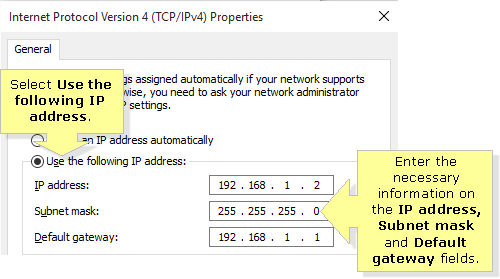 Assigning a static IP address to a computer allows it to use the same IP address every time. 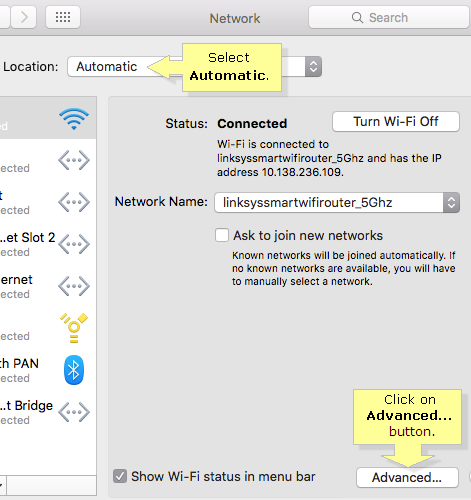 This is in contrast to having a router assign a dynamic IP address to your computer, where the IP address changes every time you connect and reconnect to the wireless network. 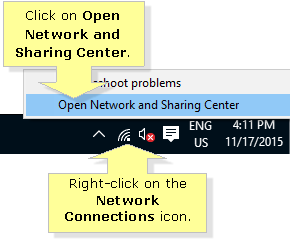 Right-click on the Network Connections icon located on the system tray and then, click on Open Network and Sharing Center. 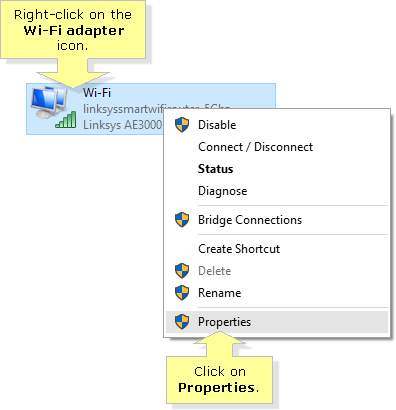 Right-click on the Wi-Fi adapter icon and click on Properties. 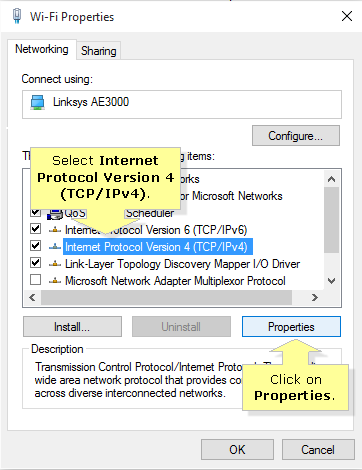 Select Internet Protocol Version 4 (TCP/IPv4), then click on Properties. 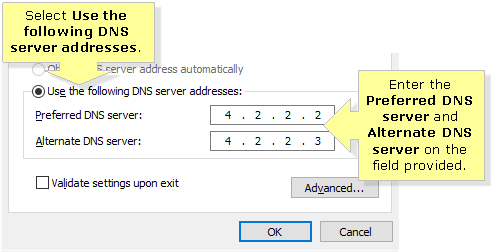 Select Use the following DNS server addresses option and then, enter the Preferred DNS server and Alternate DNS server addresses. Select Use the following DNS server addresses, then enter the Preferred DNS server and Alternate DNS server addresses, which are obtained from your Internet Service Provider (ISP). Click the Start button then, click Control Panel. 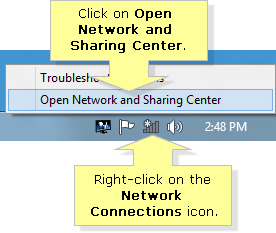 Under Network and Internet, click on View network status and tasks. 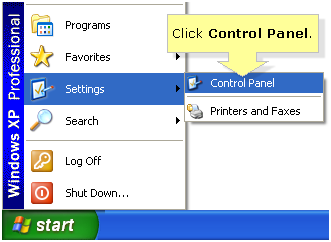 Click the Start button, select Settings and click Control Panel. 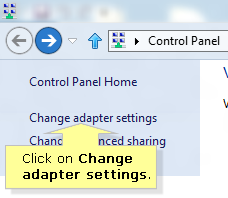 On the Control Panel window, double-click the icon when in Classic View or click Network and Internet Connections > Network Connections when in Category View. 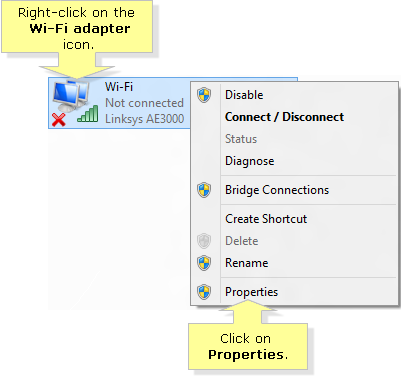 Right-click the Wireless Network Connection icon and click Properties. 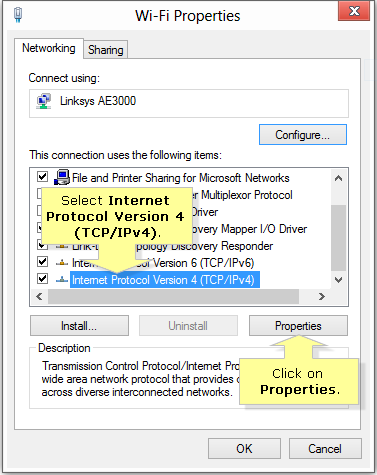 On the Wireless Network Connection Properties window, click Internet Protocol (TCP/IP) then click Properties. Select the Use the following IP address: radio button and enter the IP address, Subnet mask and Default gateway in their respective fields. Select the Use the following DNS server addresses: radio button and enter the Preferred and Alternate DNS server IP addresses, which are obtained from your Internet Service Provider (ISP). 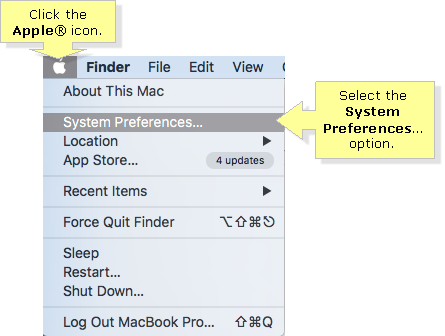 Click the Apple® icon located at the upper-left corner of the screen, then select System Preferences... option. 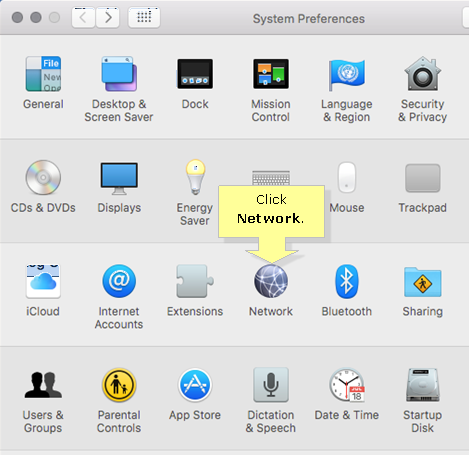 Under System Preferences, click Network. 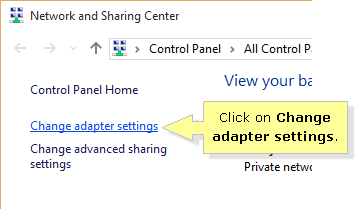 On the Network screen, set the Location to Automatic and then, click on Advanced... button. Click TCP/IP. 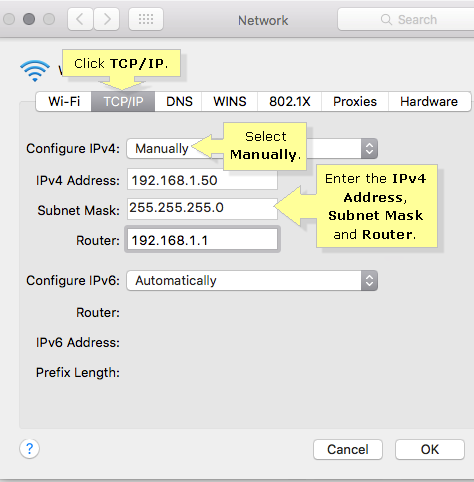 Set Configure IPv4: to Manually and enter the necessary values in the IPv4 Address, Subnet Mask, and Router fields respectively. NOTE: In this example, the IP address of the router used is “192.168.1.1”, while the Subnet Mask used is “255.255.255.0” and the static IP address for the computer is “192.168.1.50”.